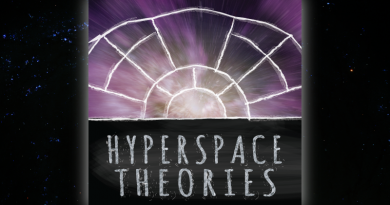 The Star Wars movie news keeps coming, and we delve into it on this month’s episode of Hyperspace Theories. We begin with one of the recent photos from the Untitled Han Solo movie shared on social media by director Ron Howard. Does the image and its caption – “Spicey?” – hint at the appearance of the long-notorious spice mines as well as the legendary Kessel Run in the film? The big developments since our last episode, though, involved Episode IX: Colin Trevorrow is no longer involved in the movie as either writer or director, and J.J. Abrams is returning to Star Wars to direct and co-write the second sequel to The Force Awakens. 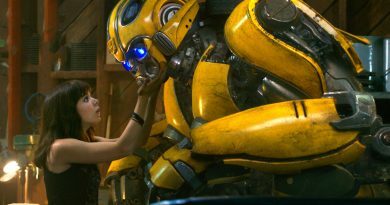 Tricia, B.J., and Kay discuss our reactions to and analysis of the news, including the official announcements from Lucasfilm as well as the reports in the Hollywood industry trades. 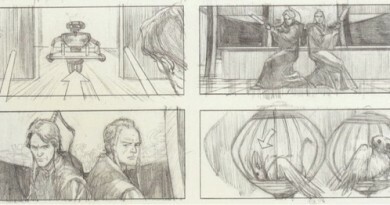 While the removal of Trevorrow from the project is a positive change, the sources of the conflict that led to his departure were very much predictable at the time he was hired; the upheaval in the production process at this point, about four months prior to the intended start of principal photography, was preventable if a sounder hire had been made in the first instance. Fortunately, after the box office and fandom success of The Force Awakens Abrams had enough influence and credibility with the Disney brass to insist on pushing back Episode IX’s release date to December 2019, giving him at least six additional months to work on the script. Abrams has essentially the same amount of time to work on Episode IX’s screenplay as for The Force Awakens – but this time with considerably less work needed on the world-building and character arcs compared to kicking off the trilogy. Overall, though, we’re certainly far more optimistic about Episode IX with Abrams at the helm than we were a few weeks ago. We also share areas of concern with Abrams’ leadership of Episode IX. On The Force Awakens, Abrams often worked in seclusion at Bad Robot in Santa Monica, in contrast to Rian Johnson’s work in residence at Lucasfilm while writing and completing The Last Jedi. With the Story Group and other members of the creative brain trust at Lucasfilm having accomplished some great successes in interconnectivity and long-term payoffs over the course of stories released since 2015, it would be a shame if Abrams’ return also meant a recurrence of the lack of communication that led to key creative executives at Lucasfilm being unaware of major storytelling decisions made while finalizing The Force Awakens until the film’s release. Similarly, Abram’s co-writer on The Force Awakens was the esteemed Lawrence Kasdan; his writing partner on Episode IX is Chris Terrio, who won an Oscar for Best Adapted Screenplay for Argo but also wrote the screenplays for Batman v Superman and Justice League, which like Rogue One ended up undergoing substantial revision, if not re-envisioning, during reshoots. Finally, while Abrams is certainly a known quantity and trusted creator to Lucasfilm, it is disappointing to see yet again that two middle-aged white men have been handed the keys a Star Wars film – and this time, one that has to provide satisfying, empowering, and worthy conclusions to the Sequel Trilogy character arcs of Rey and Leia. For all the upheaval in the production processes on the Star Wars films over the last few years, though, lots of great Star Wars stories are being told outside the movies. 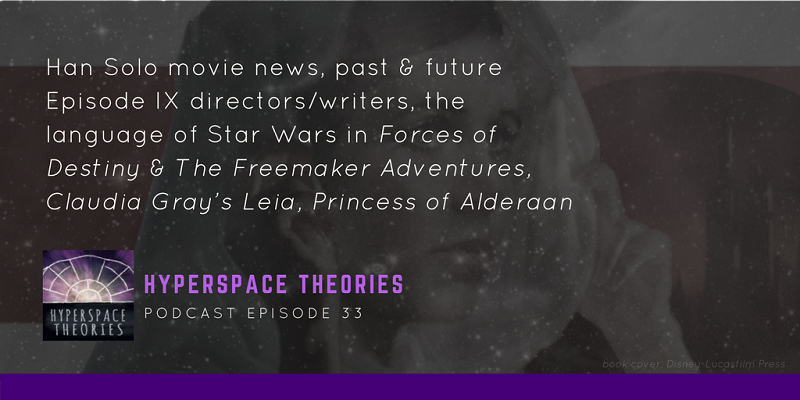 In this month’s episode we discuss the second season of LEGO Star Wars: The Freemaker Adventures, the first eight Force of Destiny animated shorts, and the young-adult novel Leia, Princess of Alderaan by Claudia Gray. We have high praise for each of them, although as longtime Star Wars books fandom participants, each of us was particularly excited to finally see the kind of official young Leia book we’ve always thought the character deserved. As part of the Journey to The Last Jedi publishing program, Gray’s novel also contains some intriguing hints for Episode VIII, including some that are overt and others that left us wondering – and speculating.